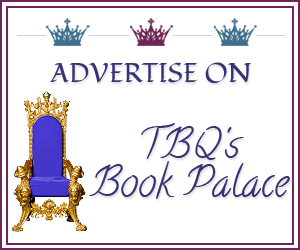 TBQ'S Book Palace: [Double Review]: "The Chocolate Touch" + Giveaway! [Double Review]: "The Chocolate Touch" + Giveaway! Today Kame and Pat both review Laura Florand's newest, THE CHOCOLATE TOUCH! At the end of this post there is a great giveaway for ecopies of book 1 in this series.... Good Luck! Dom watched her from above for a week now, twice a day, sitting at the same table in his salon de chocolat. She was unlike other tourists, she seemed to think of nothing but the taste of his chocolate in her mouth, and experience it with every part of her being. She was not a model, some might think of her as plain, but Dom was drawn to her and waited, no needed her visits. When her draw became more than he could bear Dom approached her table. I read many books, but it is rare to read one that the minute I finish I am pulled to want to read it again. 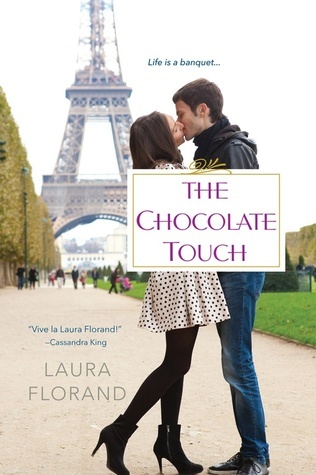 The Chocolate Touch is so much more than a romance set in Paris. It tells of a story of two people trying to find their value in the world. Dom’s journey of personal growth kept me turning the page furiously. I was in awe of him. Often a hero who must travel such a dark road redeems himself by saving the world, or by using his physical strength to push away the pain; we often see these heroes in military settings, an athlete or even a cowboy out on the range, never before have I read a book where a man who is dealing with such pain in his core chooses to combat that pain by making mouthwatering creations in chocolate. The setting of this book was just breath taking. Paris has never been on my bucket list of places to venture, but now all I want to do is go to Paris and each chocolate! This book is the fourth in the series (with a sample of book five at the end), but could be read as a stand-alone. I myself have not read any other books in this series. I plan on fixing that issue soon and reading the other books in Laura Florand’s Amour et Chocolat series. This is one of the best books I have read this year, and honestly it goes on the short list of one of the best books I have ever read. I don't usually give a lot of five star reviews, but it seems in the last month or so, I've given several. This is one of those novels. It's interesting that three of my five star reviews are works by this author! While reading The Chocolate Touch, the fairytale Beauty and the Beast came to mind. Our hero Dominique Richard is hardly a beast, he just thinks of himself that way. He is big, very big and he has huge scarred hands earned by working in a slaughterhouse as a young man. Now he designs the most intricate and fragile chocolates for his own shop. He is a Chocolatier. Our Beauty is Jaime Corey, a thin wisp of a woman who visits Dom's shop daily with a hooded jacket and hides in a corner. He is immediately infatuated. Why is she so thin, what is she hiding from? He starts to wait for her arrival to make his day. If she doesn't come, he immediately worries. Has she found another shop, is she ill, does she not really like his chocolates? "He didn't know why he was looking for her. She was too thin and too fragile for him, although something about her conversely exuded strength." Jaime is a member of the infamous Corey Chocolate family, but that's one of her secrets. Dominique and Jaime are damaged. Dom by his loveless abusive childhood, Jaime after years of trying to save the world, she couldn't be saved from cruel attackers. She has recovered from her physical injuries, but her soul is damaged , and she detests being frightened. This novel is a delight to all your senses. The beauty of Paris, the exquisite chocolates Dom produces, and the slow progression of two people who are falling in love, but aren't really sure how to. Dom's internal conversations with himself are hysterical. Jaime becomes Dom's fierce protector with her family. I highly recommend this novel, especially for readers of The Chocolate Series. This novel is easily read as a stand alone. It is pure delight. Leave a comment on this post, answering Laura's question; please leave a way for us to contact you if you win (Twitter/GR/FB name, email, etc). Giveaway ends September 18th. Winners will be picked via Random.org on the 19th and announced on the blog (as well as the blog's various social media sites). Winners will have 48 hours to contact me before a new winner is picked. Wow, ladies, thanks for the great reviews! If you both loved The Chocolate Touch so much, I must put it on my list for sure! Thanks again, Laura, for this wonderful giveaway. 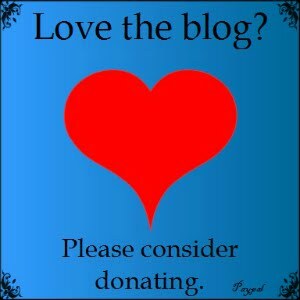 Remember to leave a comment, answering Laura's question! Winners will be picked from the comments, so no comment, no entry! What chocolate would you like to be eating right now? If you where in Paris right now, where would you go? Kame and I love our chocolate! LOL. Thanks to the The Book Queen, as always, lots of fun. Hershey's is like Laura's Corey's Chocolate! Sorry to miss you all - had to attend to family stuff - Love chocolate - but for me its a good cup of hot cocoa! And if I ever go to Paris I will see the hots spots but also look for chocolate! I love chocolate with nuts & I'd be sitting at a cafe watching the world stroll by. Sounds delicious!! Congrats--you are one of the winners! I will be sending your email addy to Laura. Thanks for stopping by! Congrats--you are one of the winners! I will be sending your email addy to Laura. Thanks for stopping by, enjoy a bar of Hershey's for me! Congrats--you are one of the winners! I will be sending your email addy to Laura. Also, now I want some Lindt!